Lutron were the original inventors of lighting control systems, and still remain one of the market leaders. The latest and most powerful version of their lighting control system is HomeWorks QS, which is scalable from a small number of lighting circuits through to whole house lighting control. With intelligent lighting from Lutron, you can change the mood of a room or space in an instant. Lighting has always played a crucial part in interior design and continues to do so, and with the technologies available from Lutron, it’s now even easier. Lutron Blinds and Shading Solutions offer elegance and convenience at the touch of a button. Blinds and Shades can be used not only to elegantly transition a space to create the right amount of light for any activity but can improve Security and reduce glare, with the added benefits of protecting furniture and fine art. 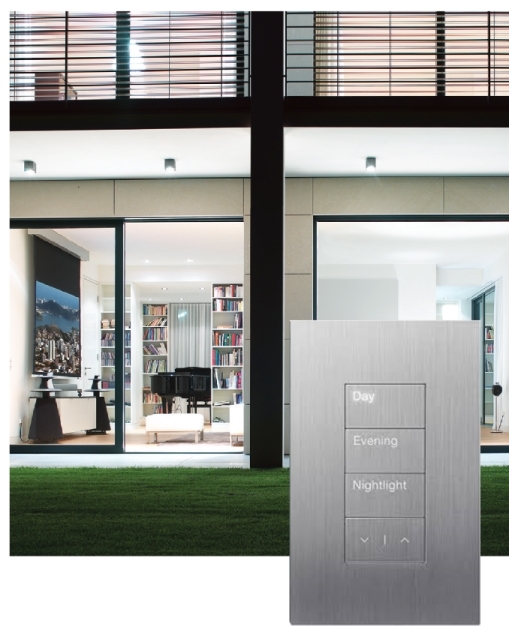 Azro are certified and authorised Lutron dealers, trained to the highest level. Our engineers provide the full service including; consultation, design, supply, installation, testing, troubleshooting, repair, training and support. We often service existing lutron installations (such as Lutron HomeWorks series 4 or 8) and can help with compatability when considering replacing existing light fittings with newer low-wattage alternatives.